The island of Sri Lanka may be a good 20,000 km² smaller than Great Britain, but certainly packs a lot into that space – super bio-diverse highlands and jungles, animals, delicious cuisine, ancient history, mystical ruins, colonial cities and incredible beaches, just to name a few. It is such an incredible and wonderfully unique place, full of diverse and important treasures, that UNESCO has recognised eight of Sri Lanka’s wonders with World Heritage Site status. What makes it ever better is that, on a holiday to Sri Lanka you don’t have to choose an area or pick a few things you really want to see; thanks to its manageable size most of the big and beautiful sights are easy to reach. In fact, you could do them all on one relaxed two week trip! 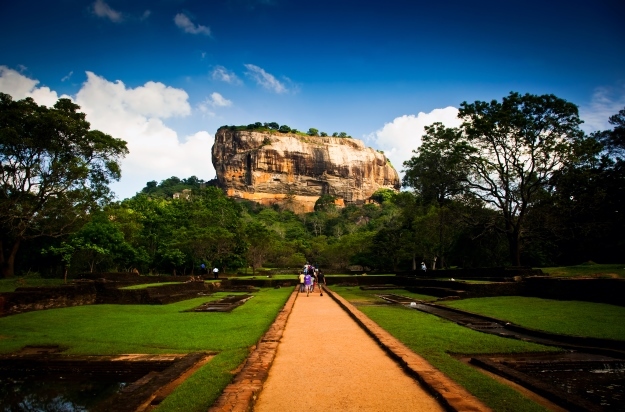 In our opinion, the coolest of the big eight sights, Sigiriya is also known as ‘Lion Rock’. Built as a new capital by short-lived ruler King Kasyapa in the 5th century, this imposing column of rock stands 200 metres above the surrounding plains. Kasyapa’s palace perched on top of the rock – to reach what’s left you must pass through a pair of giant lion paws and follow the stairs through galleries of beautiful, ancient frescoes. The views from the top are pretty fantastic too. At the rock’s foot you can also wander the remains of what were once fortifications and pleasure gardens. An ancient city that was thought to be capital of the Sinhalese between the 4th century BC and the 11th century AD, Anuradhapura has an incredibly well-preserved selection of ruins to explore. 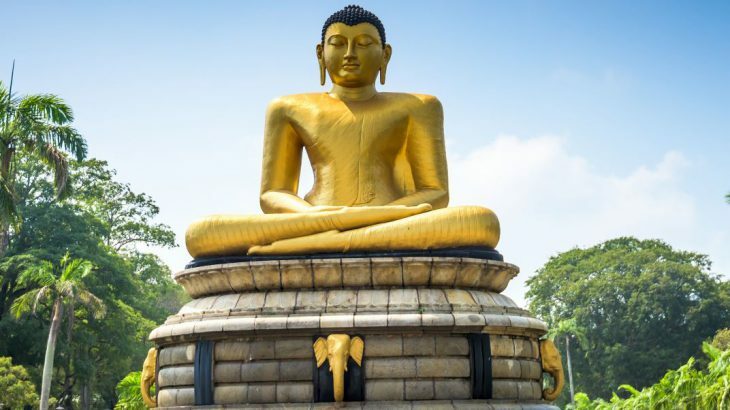 One of the world’s oldest continually inhabited settlements, in its golden age Anuradhapura was a centre of Theravada Buddhism, and remains sacred to Buddhists today. Some of the temples and stupas are still used for holy ceremonies, giving the place a wonderful sense of still being very much alive. Polonnaruwa was Sri Lanka’s second ancient capital. In a set of events worthy of being made into a TV show, Anuradhapura fell to Chola invaders who ruled for a few years before King Vijayabahu I was able to drive them out, reunite the country and set up the Kingdom of Polonnaruwa. Perhaps not as vibrant as Anuradhapura, Polonnaruwa is still packed with historical gems, with hundreds of structures to admire. It was also used as the backdrop of the video for the Duran Duran hit ‘Save A Prayer’ – what better claim to fame? 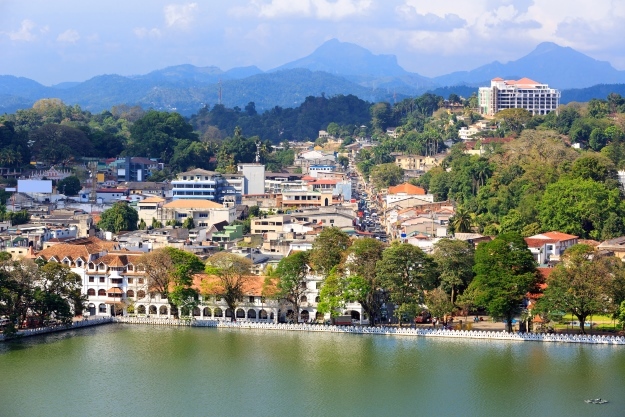 As delicious as it sounds, Kandy is in fact a sacred city and the last capital of Sri Lanka’s ancient kings. Located amongst the tea plantations and jungles of the highlands, it is the island’s hub of culture and also home to Sri Lanka’s most sacred temple, the Temple of the Tooth. The city, incredibly, managed to resist the advances of colonial Dutch and British forces for years, staying independent until the early 1800s, when the British finally broke through. To experience pure Sri Lankan culture, this is the place to go. 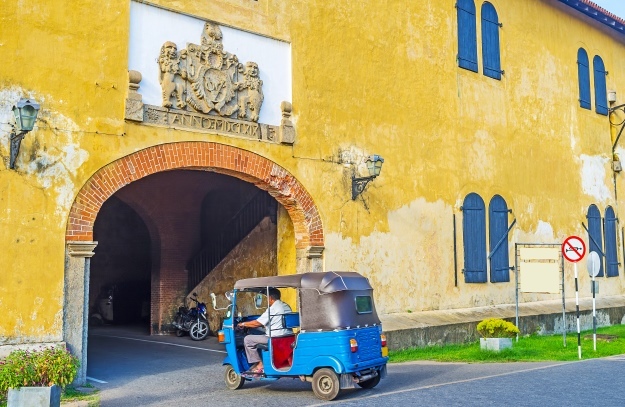 Founded by the Portuguese in the 16th century and having enjoyed a golden age during the Dutch occupation in the 18th, Galle is one of the last European-built coastal fortifications left in Asia. The timeless cobbled streets are still lined with old mosques, churches and mansions that have survived the city’s chequered past. It’s very much a fascinating step back in time, in fact, you’d be forgiven for expecting a pirate or sea capital to come swaggering by! This tiny national park packs a lot of punch, so much so that it is also a World Biosphere Reserve! Encompassing virgin rainforest, Sinharaja is full of endemic species of plant, insect, birds, reptiles and mammals. Home to a couple of elephants and a few leopards, this is a place for those looking for a subtler nature spotting experience, as it can be difficult to spot animals amongst the dense vegetation. 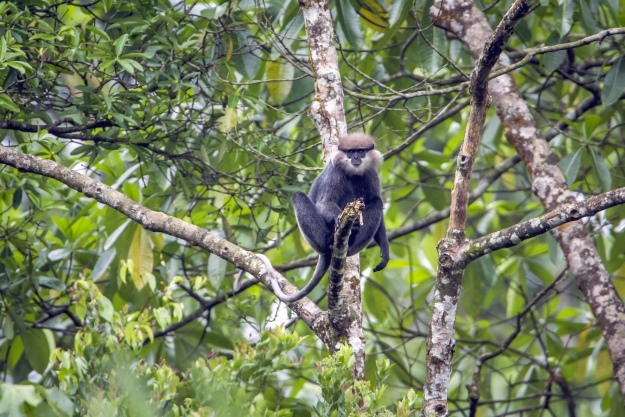 Look up, though, to search for the endemic purple-faced langur, the park’s most prominent mammal. 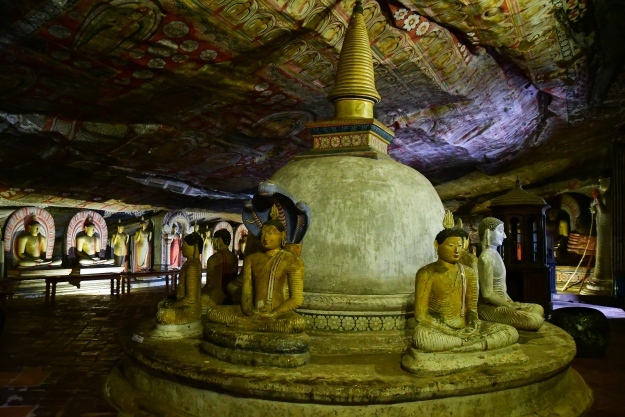 The cave temple of Dambulla happens to be Sri Lanka’s largest and best-preserved cave temple. There are 5 caves that are particularly special, filled with incredible statues and paintings of Buddha and his life. The first images were created here about 2,000 years ago and have been subsequently added to over time, totalling about 150 today. In a country that has many, many Buddha images, these are some of the country’s most evocative, and should not be missed. Encompassing natural landscapes such as Horton Plains National Park, this UNESCO listing covers the unique nature that has flourished in an area that sits 2,500 metres above sea level. 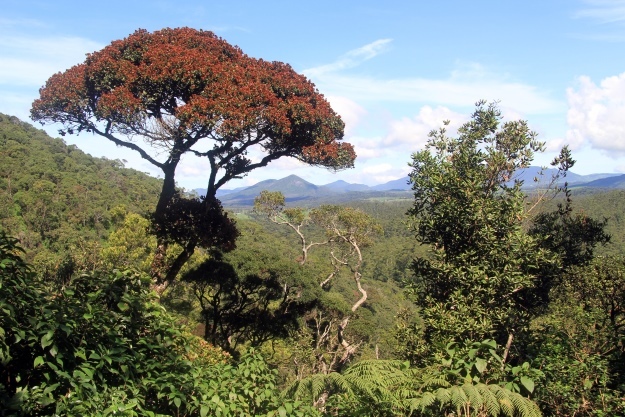 The Central Highlands are considered a ‘super biodiversity hotspot’ with an incredible array of flora and fauna, as well as being home to both endemic and endangered species. 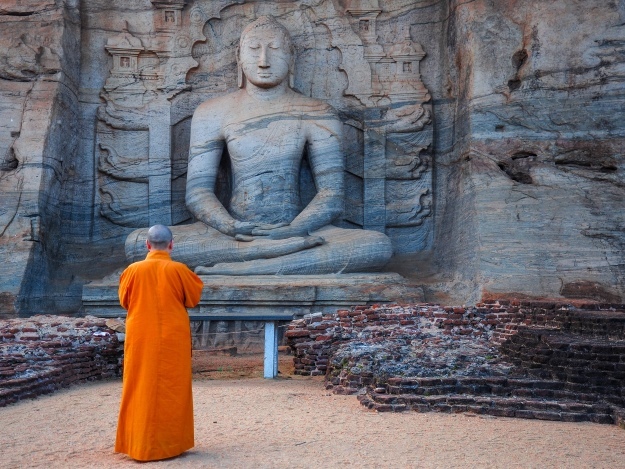 Sri Lanka adventure, culture, history, top things to see, unesco heritage site. permalink.